Best plagiarism checker online free and paid: Plagiarism has been a huge problem in this digitalized world. Most of the writers and bloggers are just suffering from this plagiarism. A writer keeps his/her full efforts in writing an article and molding it into a perfect shape. But when others copy his/her articles means it’s the worst situation ever and that is why there are many best free plagiarism online are available to check this plagiarism. You may also like a free plagiarism checker for bloggers. So, if you are an ethical writer, then you should stay away from these plagiarism practices and start using the free plagiarism checker online. Nowadays, it has been quite common that most of the bloggers and writers are only following this plagiarism. Are you familiar with “what is plagiarism means?” and “Best plagiarism checker online” If not I will explain to you. Plagiarism is merely a foolish activity which is done by the frauds. It’s the practice that involves copying someone else’s work or their ideas and showing them as their own ideas. This foolish act is called as the plagiarism. This act includes in taking anything like writing, song, plans, ideas, and even projects, etc. to say it more simply anything which is copied without giving credential to the original author or owner is called as plagiarism. This plagiarism has been a severe headache to all the bloggers and content writers as well because whatever the efforts bloggers and content writers are producing in their article are just copying by others without giving proper credentials. If you are hiring a content writer for your blog writing activities, then you must make sure that the content written by your writer is free from plagiarism. To make sure that your content is plagiarism free you should check that with the online plagiarism tools. If you publish the plagiarized content means it will eat your blog reputations and also it will affect your rankings and Google Panda will be throughout your blog, and your blog will be penalized. So, just make sure you that your content is free from plagiarism. If there is a necessity of including others content in your article, then make sure that you give proper credits to the original author. Don’t be in a hurry, here in this article; I am going to list ten best paid and free plagiarism checkers online that you can easily use to check your content for plagiarism. By hearing Grammarly, many of you might be shocked as it is the online grammar checking tools. But Grammarly is not only the grammar checker it also has some unique features, and in that unique features, plagiarism features are one. But this plagiarism feature is only available for its premium users only. Its free users can’t get the plagiarized feature. Grammarly shows the copied content quickly, and it has been an excellent tool to check stolen content. Ex: if you copy content from any other site, Grammarly will simply show the link of that site which you copied from. Plagiarism check is one of the best plagiarism checkers online, reputable and built on advanced algorithms. Perfect for students and educators, this tool helps to protect academic as well as other types of writings from duplications and copyright violation. You can try the tool for free to decide if its features meet your needs. plagiarism check detects exact matches, rearrangements in word order, paraphrasing, active to passive voice changes, synonymization, and wrong citations. No downloads or installations needed to use it. Paste your text into the checker’s field, wait for 2-3 minutes, and get the detailed report to see what’s wrong with your paper. PlagiarismCheck.org guarantees a complete privacy and allows protecting your works from false accusations of plagiarism. Copyscape is one of the best and popularly known plagiarism checker online. This app lets you detect the plagiarized content check if your article is original or not. Copyscape has both free and premium versions. Both the free and premium versions are capable. If you want to use its free version, then you have to go the Copyscape homepage, and you can check the web page content. If you want to check your content before publishing your blog posts and articles, then you need to buy its premium version. Plagscan is the best online plagiarism checker tool which allows you to upload your content in a file format or you can directly paste your content into the text box to check whether your content has duplicate content or not. Plagscan has a free version where you can test around 2000 words of the article. If you want to check more than 2000 words articles, then you should purchase its premium plan. For maximum bloggers and writer’s 2000 words is enough to check there is no need to buy the premium plan. But if you are in the project and wanted to upload documents in bulk then it’s best to take premium version. Small SEO Tools plagiarism checker is the free online plagiarism checker. It’s the most useful site which offers lots of free and useful tools to manage your SEO efforts. Its plagiarism checker is the efficient plagiarism check tool where you get best and accurate results. All you have to do is go to the plagiarism tool and paste your text in the box and fill the captcha and hit check for plagiarism that’s it. 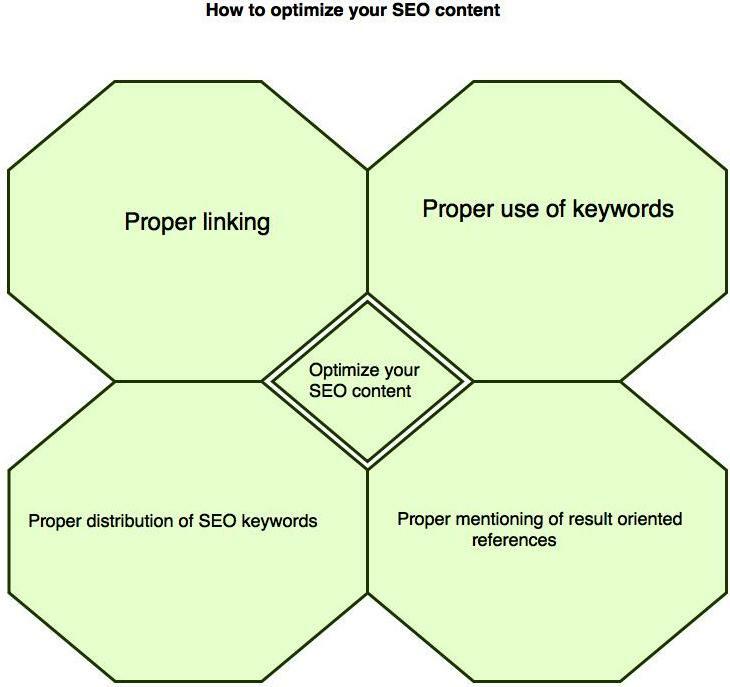 But the disappointing thing about the small SEO tools is it’s having a limit of 1000 words. If you want to check more than 1000 words, then it won’t work. Free plagiarism checker by Pro-papers.com – another online service. It is primarily designed for students, in order to help them succeed in writing unique academic papers. When checking the uniqueness of a certain text, it uses an advanced and complex algorithm of searching the Internet for pages with full or partial copies of the specified text. Based on the matches found, the total uniqueness of the text is calculated and presented in percent, as well as the percent of matching texts for each found page with coincidences. It is possible to see which parts of the text were found on each of the analyzed pages. The amount of checks per day is unlimited, yet the lengths of a checked text should be no longer than 20000 characters. Such an algorithm helps students check their papers and reach the best quality of academic writing. Dupli Checker is the other free plagiarism tool which detects the duplicate content. It is also having other SEO tools on offer, and it provides accurate information and reports on the tools. To check plagiarism, you have to upload a document or text file and simply hit “plagiarism” button and within a couple of minutes, results will be shown. Dupli Checker checks each and every words and sentence of the content. Now to remove all the minimum limits on the Dupli checker, you should create a free account. Plagium is one of the best premium plagiarism checkers; it has a free version, but it has limitations. In the free version, you can only search two times per day that to 5000 words limits. In premium version, you can enjoy lots of active searchers and other features as well. To check duplicate content all you have to do is pick which kind of search you want. Plagium offers “Quick search” and “Deep search” and it also offers files comparison. Here quick search is the search will have a basic overlook in most of the parts. Whereas deeper scan searches each and every word, phrase, and sentences. And gives the best results. You can either paste your text in the text box, or you can upload txt and doc files in searches. 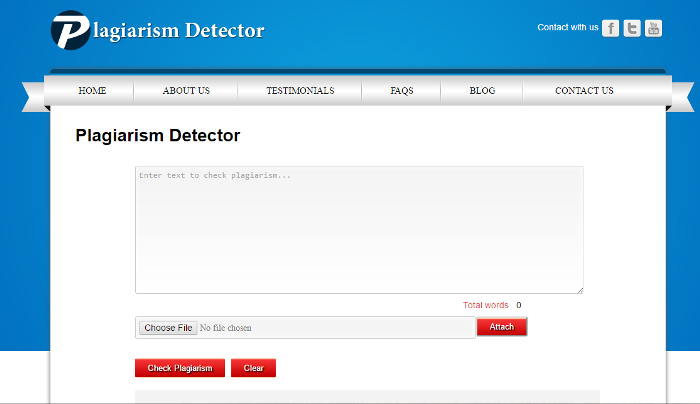 Plagiarism Detector is a free tool which offers plagiarism checker and also few other SEO tools for free. To check the plagiarized content all you have to do is paste your content in the text box or you can simply upload a document or text file. To get more out of this tool its best to create a free account. But creating an account is not compulsory. This tool is different from the other plagiarism checkers it divides your article and searches those content each sentence in google search and then it will show the results. Quetext is less know online plagiarism checker. But this quetext is very easy to use, and it searches plagiarized content efficiently. You don’t need to register or sing up for this quetext. All you have to do to search plagiarized content is just paste the text in the text box. And hit check plagiarism that’s it. It will show the perfect details along with that it also checks your grammar as well. There is no limit of words in this free online plagiarism checker. 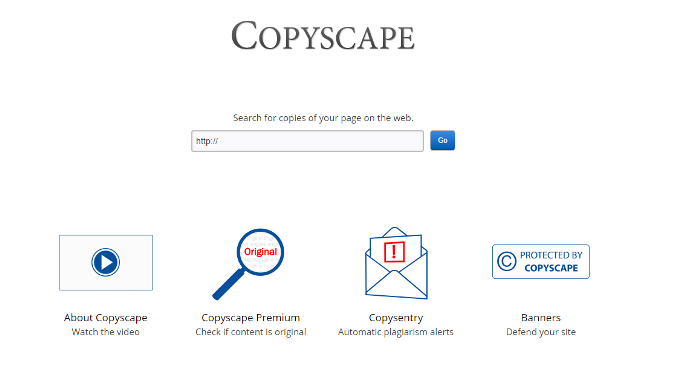 Plagiarisma is a free online plagiarism checker which checks your content. It is a tool which allows you to search duplicate content but the drawback of this is it only allows three searchers per day from one Ip address. And if you complete three searches then you should wait till next day. To check plagiarized content all you have to do is paste the text on the tool and select the search engine and hit “check duplicate content”. It supports 190+ languages. Its free version includes some restrictions, but its premium version works very efficiently. These are the best paid and free online plagiarism tools. I hope this list has helped you. If you have any queries, feel free to comment below. I’d love to see a comment from you. Great post, thank you for collecting. I can also add another website to this list: Noplag.com Plagiarism Detector. It is really smart and useful, detects quotes in your writing and calculates similarity index, accepts different formats and provides a detailed report after checking. Maybe you should try it? MadhuMeeta, thank you for detailed description of each plagiarism detection tool and screenshots! Now it would be much more easier to choose a new tool if I decide to try other plagiarism checkers. I am glad you find this paid plagiarism checker tool list valuable and helpful. Thanks a lot! I tried Copyscape and Grammarly, but my fav plagiarism checker is Unplag. I recommend this checker to students because I know that a lot of universities use unicheck, especially my university. Also Small Seo Tools is very interesting to use. Thanks for your review, it is incredibly useful for all people who have faced a choice of the best plagiarism checker. I can add one more to your list, which I really like. This is Unicheck.com. It has a cool design, everything is easy and understandable. I also like the following in it: it uses different color highlighters to show similarities in the plagiarism report, so you can easily notice which parts in your document contain copied text. Also, you will get a list of links to the sources where it finds duplicated content. On the source page all of the similarity areas are highlighted so that you can easily find them on the web page. It is very convenient! It also has fair policy: they do not copy or save files uploaded and checked by Unicheck. That’s very important, as for me. So, I advise it to all! Nice Article on Plagiarism Checker. One of the tools that I use regularly to check plagiarism is 99traffictools. The tool is very easy to use. Paste the content that you want to check and the tool. It even shows how much of the content is plagiarised and where it has been taken from. Thanks for your kind words. I am glad you found this paid and free plagiarism checker tool valuable. Wonderful list of checkers, thanks! I’m a freelance content writer and I always need to check my articles before submitting it to be sure it’s unique. It’s always better to protect yourself! After all, you can even plagiarize unconsciously. Better safe than sorry, as they say:) So it’s really important to choose your favorite one. I also want to add to this list another one no less remarkable plagiarism checker – Unicheck. I’been using it for almost a year and I love it for its beautiful design and handy interface. Cheers! This is so useful! 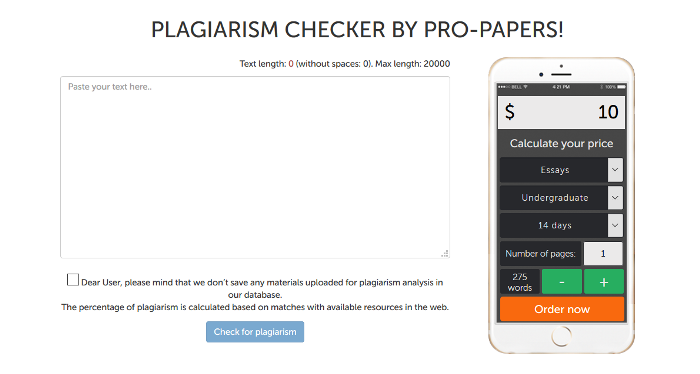 As an assistant professor, I am constantly on the look-out for reliable plagiarism checkers – been using Plagiarism Checker X for the past couple of months and I am seriously considering buying their lifetime license. This article is very usefull. Thank You For Providing Us with the amazing content checkers list.